The Chaos Druid Tower Dungeon is a small dungeon located below the Chaos Druid Tower which is north of East Ardougne. By opening one of the 2 chests here, you'll gain 2 Blood Runes and some cash! The dungeon is located down the ladder inside the Chaos Druid Tower. The Chaos Druid Tower is just north of the wall separating East and West Ardougne. 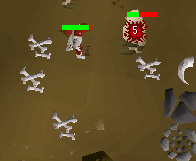 To enter the dungeon you must enter the Chaos Druid Tower just North of Ardougne by Picking the door. You must then climb down the ladder in the tower. 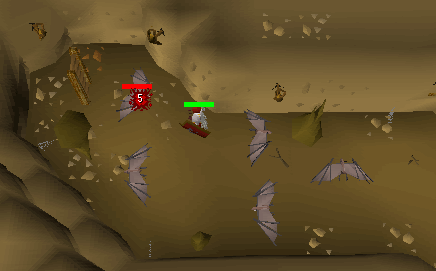 Once down the ladder you will be in the part of the dungeon with five spawns of level 27 Giant Bats. One of the highlights of the dungeon is the level 53 Ogres. 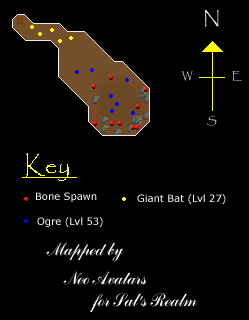 There are seven Ogre spawns and high level players may leave the Big Bones on the floor for you to pick up and bury. 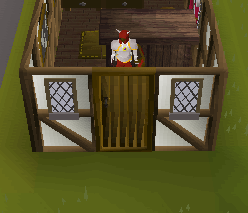 To exit the dungeon you can either go back to the ladder and past the Chaos Druids or you can open one of the two chests in the dungeon to get teleported to a house just West of the River running through the middle of East Ardougne along with 500gp and 2 Blood Runes. 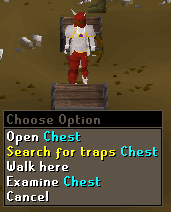 To open the chests you must have 59 Thieving.